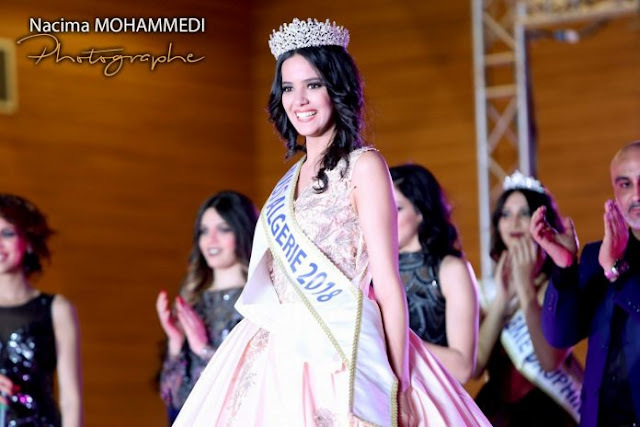 ALGIERS, Algeria - Nihed Markria (21) was crowned Miss Algérie 2018 at the School of Hotel and Restaurant Management in Algiers on April 8. She will represent Algeria in Miss World 2018. Yasmine Hamici and Fella Rahli finished in second and third place, respectively.